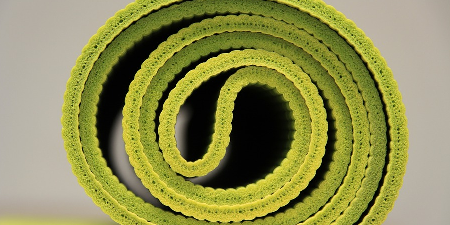 If you are thinking about buying any of the yoga mats listed here, STOP! The mats listed here have terrible reviews. We’ll point you to better alternatives at the bottom of this article. The Aurorae Yoga Mat has many critical reviews that you can verify on Amazon by clicking the link or image above. The main complaint by far is the slipperiness. There are complaints even for basic down dog poses. The mat is extremely slippery even if you are not sweaty. They include a rosin/resin bag for powdering your hand, similar to what gymnasts due. However, this is bizarre – no one does that for yoga! Just buy yourself a proper yoga mat. The second most common complaint about the Aurorae Yoga Mat is the poor durability. The mat starts to fall apart after 6 months for some users. For others, it falls apart on the first or second use! If your feet get damp and stick to the cheap material, when you lift your foot, there is a chance a piece of the mat may come off. Don’t believe us? Read the Aurorae Yoga Mat reviews on Amazon yourself at the link above. Right off the bat, we would not recommend the Sivan Yoga Mat because it is 1/2″ thick, much too thick for yoga. A yoga mat that is too thick will make poses unstable and difficult, not to mention put you at risk for wrist pain. That said, the greatest complaint by users of the Sivan Yoga Mat is its poor quality. Many users complain that the Sivan Yoga Mat tears or even rips in half during light use with basic poses. It can tear on its first use, as others report, so it’s not an issue of getting old. The quality of the Sivan Yoga Mat is simply quite poor. Even if the mat doesn’t tear, it is very stretchy, which is annoying when trying to hold a stable pose. Combined with the extra thickness, you will have a very frustrating yoga experience. The images of the printed Fit Spirit Yoga Mat can look pretty, but in person, this yoga mat is terrible. The number one complaint for the Fit Spirit Yoga Mat is its horrible chemical or formaldehyde-like odor. 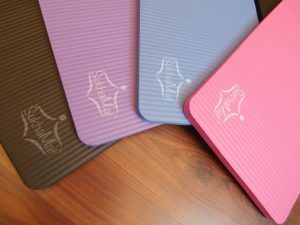 Now, many yoga mats, especially premium rubber mats, have a smell when brand new. This is normal, and the smell dissipates over time. However, the Fit Spirit Yoga Mat is not made from rubber, and one user noted that the smell does not seem to be from the mat itself, The smell is likely from the dye used to print patterns. The Fit Spirit Yoga Mat doesn’t perform well either and is slippery. 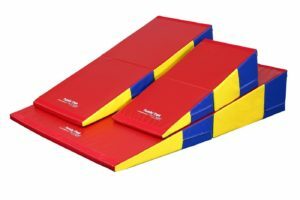 Users report that the mats slips on the floor. Their hands and feet also slip. This means both sides of the Fit Spirit Yoga Mat fail to grip properly, which is pretty bad. The Spoga Yoga Mat is poorly made and poorly delivered product. That’s right. The poor user experience starts right from delivery! When you receive the Spoga Yoga Mat, it is wrapped in very sticky adhesive tape. The problems it that the mat material is very cheap. When you remove the packaging tape, chunks of the mat rip right out! Other users report that the mat comes with dents, deformations, and rips. The Spoga Yoga Mat doesn’t hold up under regular use either and falls apart readily. As you might expect, there some complaints about this mat being too slippery. Other complain that the Spoga Yoga Mat is too soft and does not provide stable support for yoga poses. All in all, you are much better of with a different yoga mat, even for the same price. The Yes4All Yoga Mat is another cheap, low quality mat with a slippery surface and poor durability. However, there are some other problems specific to the Yes4All Yoga Mat. The mat is supposed to be extra thick at 1/2″. Again, we do not recommend such a thick mat. However, if you were looking for an extra thick mat for cushioning, you would be disappointed anyways. The cheap foam gets compressed in less than a few months. It then becomes flat and hard, and there’s not point in getting the extra thick mat in the first place. The Yes4All Yoga Mat also advertises incorrectly and claims it will come with a strap for carrying. Many users report that there is no yoga strap. 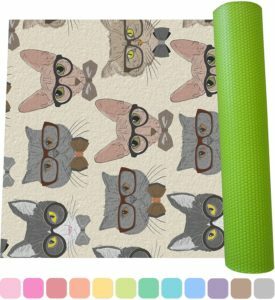 If you are buying the Yes4All Yoga Mat, you are probably on a budget. It’s base price is about $20, but if you have to pay $5-10 for a strap, it’s real price is $25-30, which is quite expensive for what you are getting. Finally, the cheap material in the Yes4All Yoga Mat is noisy. During poses, the mat will squeak and make sounds. This is annoying when you are by yourself, and embarrassing when you are in a group yoga class. Stay away from this mat! The main complaint for the 1/2″ Reehut Yoga Mat is its poor stability. 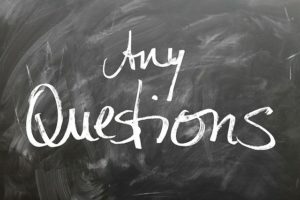 Most people buying the extra thick 1/2″ yoga mats are probably beginners who do not understand yoga mat requirements. 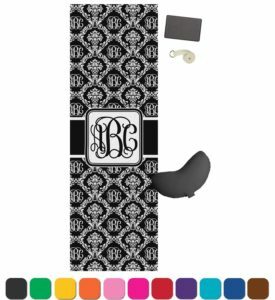 Beginners mistakenly think that the 1/2″ mat will be more comfortable. However, the extra thickness makes it hard to balance. The Reehut Yoga Mat also has the problem of stretching and slipping. These all contribute to a poor yoga experience for a beginner. A number of people have reported ordering a new Reehut Yoga Mat and receiving a torn version. The cheap material is less durable and also quite noisy, similar to the other problematic mats we described previously. Jiva Yoga Mat reviews indicate problems with grip. 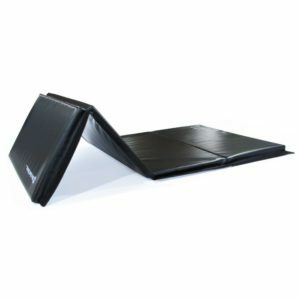 In fact, at least three users have all reported that the Jiva Yoga Mat slips against the floor. This is incredibly dangerous – imagine trying a difficult pose and having your mat slip out from under you. Even from a short distance, you can get a sprain, bruise, or other injury. Also, usually people complain about slippery mats under sweaty conditions. You can fix this by using a yoga towel or avoiding hot yoga classes. You CANNOT fix the Jiva Yoga Mat if it slips on the floor. There are also some complaints about durability and quality of the Jiva Yoga Mat, but its poor floor grip is our biggest concern. The HemingWeight Yoga Mat has serious quality control and delivery issues. One user reported that the wrong color was sent. Another reported that the mat arrived with an insect inside and a hole in the mat. Another reported that there were footprints and the mat looked used. You can read complaint after complaint about strange issues with the HemingWeigh Yoga Mat delivery. The HemingWeigh Yoga Mat itself is a typical, overly-thick, cheap foam that gets damaged easily and squeaks during use. Of course, the mat is slippery and not really suitable for yoga. Most note that the HemingWeigh Yoga Mat appears to be falsely advertised as 1/2″ thick, when it is actually 1/4″ thick. A 1/4″ thick mat is actually better for yoga, but the other massive issues prevent the HemingWeigh Yoga Mat from being useful for yoga practice. The printed Gaiam Yoga Mat looks quite nice, and Gaiam has made great yoga mats in the past. However, the current printed Gaiam Yoga Mat has an overwhelming flaw. It is much too slippery to use. Multiple users report that they cannot perform a basic down dog without slipping or straining awkwardly to avoid slipping. It’s not as if people are using the Gaiam Yoga Mat under difficult sweaty conditions or attempting difficult angled poses. The Gaiam Yoga Mat fails in the most basic conditions and is practically useless for yoga. Given the higher price tag of the Gaiam Yoga Mat, you will be extra upset when you find this out. 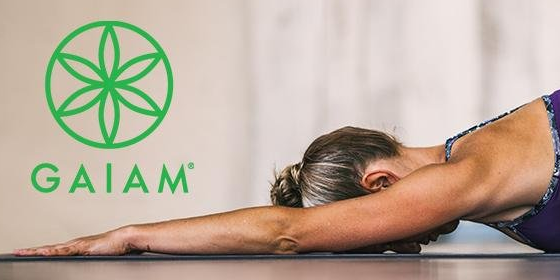 Some people ignored all the negative Amazon reviews because Gaiam is a well-known yoga company. They too sadly reported the same problems with slipperiness. Avoid the printed Gaiam Yoga Mat. The BalanceFrom GoYoga Yoga Mat will is selling well on Amazon, which is unfortunate. If people would read the reviews in advance, they would avoid the massive disappointment taking place right now. The BalanceFrom GoYoga Yoga Mat is, first of all, too thick and mushy to support yoga poses. Even if the mat were durable, you would not be able to use it properly for yoga. However, the biggest problem with the BalanceFrom GoYoga Yoga Mat is its very bad quality. People are reporting that they receive damaged mats in the mail from Amazon. After just one or two uses, the BalanceFrom GoYoga Yoga Mat also deforms, flattens, or loses all cushioning. The foam just gets crushed and does not recover, which is common for cheap mats. It’s just that the BalanceFrom GoYoga Yoga Mat loses its cushion so quickly! It’s bizarre. The BalanceFrom GoYoga Yoga Mat is selling well, but if you look through the reviews, you find tons of disappointment. Do yourself a favor and avoid the BalanceFrom GoYoga Yoga Mat. Read our main yoga mat reviews guide for how to pick a great yoga mat at budget and premium price points. 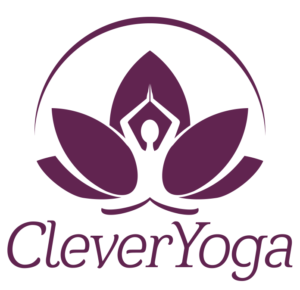 If you just want to get started right away, we recommend the low-cost Clever Yoga Better Grip, available from Amazon by clicking the link or image below. I wish I saw this earlier… I bought an Aurorae and it fell apart after a month.